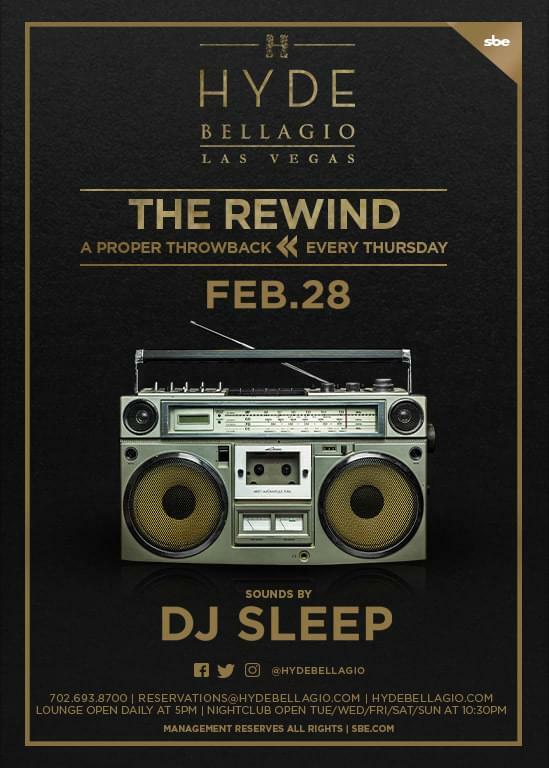 Guestlist, tickets, and bottle service for DJ SLEEP AT HYDE on February 28, 2019 in Las Vegas. GUEST LIST SIGN UP ENDS AT 7:00 P.M NIGHT OF EVENT. PLEASE ARRIVE BY 10:30 PM. MUST BE 21+ AND HAVE A VALID ID. You will be directed to HYDE Nightclub website where you can purchase your tickets for this event.